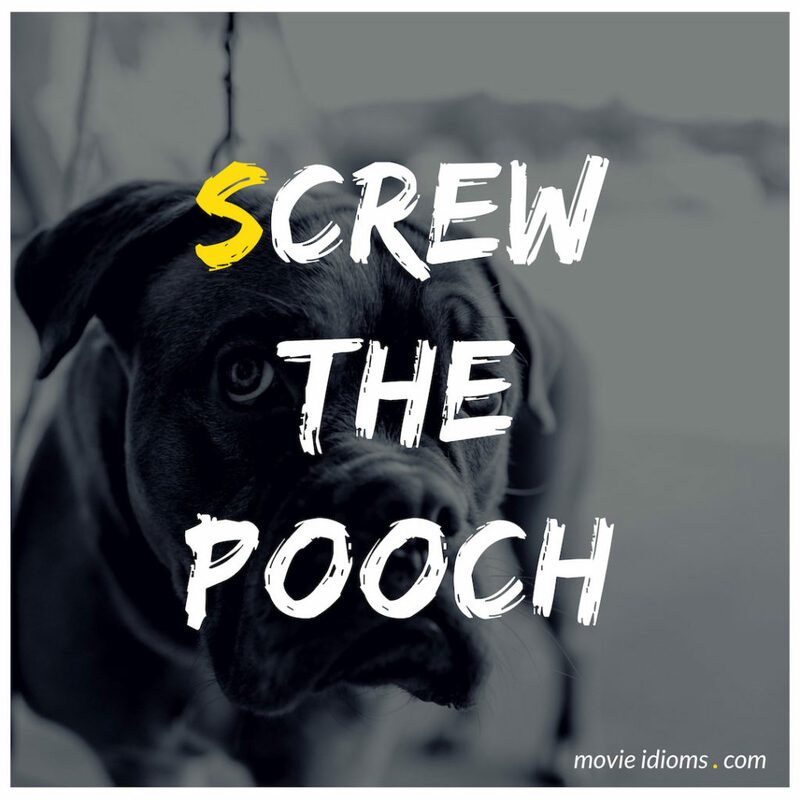 What does screw the pooch mean? John Crichton: Shyeah. It’d totally screw the pooch, babe. Dr. George Huang: She’s dangerous. Chief of Detectives Muldrew: Is that your clinical opinion, Dr. Huang? Dr. George Huang: Do you want me to use bigger words? Fine. She’s a psychopath with extremely violent tendencies. Chief of Detectives Muldrew: Stop showing off. Bring her down for murder and I’ll back your play. But screw the pooch and I’m going to let the crap roll downhill. Donald Cragen: They better crack her or we’re going to have a lot of shoveling to do. Gordon Cooper: You know something, Gus? I got me a new house, new furniture. Got me $25,000 a year on a magazine contract. Got me a Corvette. Got free lunch from one end of America to the other, and I ain’t even been up there yet. Gus Grissom: Yeah, I noticed that. Gordon Cooper: Oh, you noticed that, did you? Well I guess they’re just saving the best for last. Gus Grissom: Yeah, I guess so, Hot Dog. Just be sure you don’t screw the pooch.